Today we’ve finalized our income tax return. As we have our own business it usually takes a while but we figured that as this year was our third time to do it we should know it by now. Well, we were wrong! Turns out they’ve made the forms for the business a little easier than previous years. Seems great right!? It probably would have been if it had been possible to find some instructions on how to use it but we found nothing! So we had to figure it out on our own. Two hours later we were done! In the evening we went to Svinninge to eat dinner with my brother. (My parents were away). 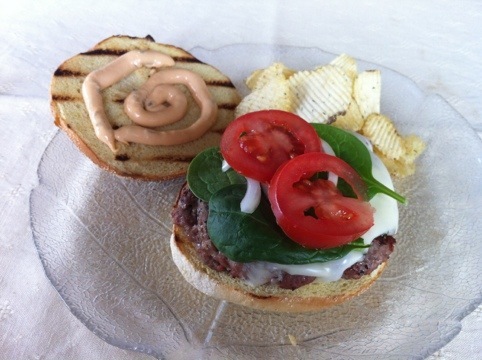 We grilled burgers from minced calf and filled them with parsley butter. Turned out great!